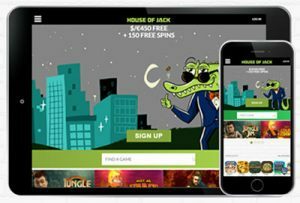 Launching mid-2017, House of Jack is a fun new online casino aiming to please players worldwide. Featuring all your favourite casino games as well as some unique offerings, House of Jack is sure to establish itself as a go-to site for real money gaming. If you’re looking for a safe, entertaining online casino that ticks all the right boxes in terms of licensing and security while offering a large collection of games from the leaders in online gaming software, come knock on the doors of the House of Jack. It may not be the most impressive casino on the Web, but it offers a safe and comprehensive platform to play some of the best real money casino games out there. What kind of player is House of Jack for? As a multi-provider casino site, House of Jack will appeal to a wide range of players, and with a game collection that spans to cover slots to roulette and everything in between, there’s something for all tastes and budgets at House of Jack. There’s a sweet selection of promotions on offer, and games can be sampled for free in practice mode before committing to any real money wagers. All the major deposit methods are offered, making House of Jack suitable to players from a range of countries. House of Jack does not accept players from United States of America, Belgium, Denmark, Cyprus, France (France Metropolitan, French Guiana, French Polynesia, French South Territories), Greece, Italy (Vatican City), Spain, South Africa, and the United Kingdom, Romania, Czech Republic, Ireland, Philippines or Hungary. For further information about the online gambling laws that apply in your country and to find the safe casino sites that accept players from your region, check out our global guide to online gambling laws. House of Jack offers several bonuses to players, including a sign-up incentive and other offers that are available exclusively to registered players. At the time of writing, bonuses included matched deposits, weekend bonus offers, free spins and more, but it’s the ongoing welcome bonus that really takes the cake. 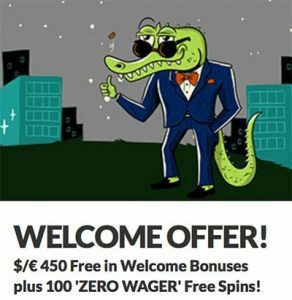 The welcome bonus comes with a 40X wagering requirement, while the free spins are wager-free. A minimum deposit of $20 is required to take advantage of this offer. Claim the House of Jack welcome bonus or read more about House of Jack’s bonus offers here. 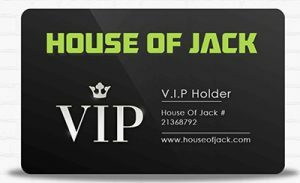 The VIP program at House of Jack is called the Jack Pack, and entry is available only to the most loyal of players. If you prove your loyalty to the casino by playing frequently and making plenty of real money deposits, you can become part of the Jack Pack to get access to all kinds of VIP perks and special treatment. Jack Pack VIPs receive exclusive bonus offers and promotions, higher withdrawal limits, faster withdrawals, a personalised VIP host, a one-off VIP bonus and all other kinds of gifts, freebies and incentives. Entry is via invitation only, so if you intend to climb your way to VIP status, make sure you provide a valid email address upon registration. House of Jack is manned by Jack himself, who is a smooth, super suave crocodile. The creation of a site mascot is always a good move to help players identify better with a venue, and we like that Jack is always along for the ride. 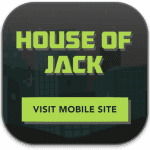 Like all the leading casino sites, House of Jack is an instant-play casino, which means games can be played directly over your Web browser (Safari, Chrome, Explorer, Firefox, etc) without having to download anything. The site is easy to navigate, with games separated into distinctive categories and a search tool available if there’s a particular game you’re looking for. An instant-play mobile casino is also available and compatible with all data-enabled smartphone and tablet models, including iOS, Android and Windows Phone. The mobile site doesn’t offer as many games as the full desktop site, but you will find a solid selection of all the stand-out titles optimised for portable play. 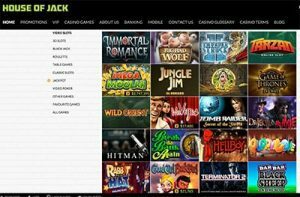 House of Jack may not be the most visually impressive casino site, but it’s definitely user-friendly and fast to load, so there are no complaints there. House of Jack offers games from a selection of the world’s best gaming software developers, including our favourites BetSoft, Microgaming, Quickspin, Play’n Go and Spigo. The multi-provider format means you can play hundreds upon hundreds of games without boredom, and with games available for free play you can sample the full catalogue before deciding which titles are worth your hard-earned money. The slot selection is where House of Jack really shines, with the full range of Betsoft’s 3D slot games on offer, as well as the biggest progressive jackpots from Betsoft and Microgaming. The video poker selection is also impressive, with over 20 variants to choose from including classics like Jacks or Better, Aces and Faces and All American. The table games on offer combine a selection of traditional games with more obscure titles, so along with a large selection of blackjack variants you’ll find rarer card game variants like Vegas Craps, Top Card Trumps and Triple Chance Hi-Lo. Roulette fans have over 10 variants to choose from, while there’s also a selection of scratchies and niche games for the casual punter. Where House of Jack’s game offering falls short is that no live dealer games are available, although we expect this to change as the casino finds its feet, with live dealer games sure to be integrated in the future. Multiple currencies are accepted, including AUD, NZD, CAD, EUR and USD. All deposits are processed instantly, except for bank transfers which take three to five business days. Withdrawals requested on a weekday are subject to a minimum pending time of four hours, while withdrawals requested on a weekend won’t be processed until the following Monday. Not sure how to deposit money at on online casino? Read our beginners how-to guide here. In terms of licensing and security, House of Jack ticks all the right boxes to guarantee a safe online gaming experience, ensuring payouts are fair and all gaming software operates above board. The site is protected by 128 Bit SSL (secure socket layer) digital encryption security to protect all financial transactions, so you can make real money deposits with the peace of mind of knowing your money is safe. All banking options are clearly displayed for all countries, unlike some online casinos which make you dig for this information or only provide full banking details once you’ve already signed up for an account. A quick link to a Casino Glossary is available to help newbies understand and navigate their way around the online gaming world. Visit House of Jack today and sign up for a real money account to receive up to $400 in welcome bonuses along with 100 free spins wager-free.